After indulging in all this quality food and feeling full to the gills, you may require some fresh air and perhaps have a desire to dance. The classes are very enjoyable with a nice mix of music and dance. They take signature NOLA (New Orleans) bounce moves and teach them in an aerobics format that makes the class open for all levels and ages. Make Your Move is proud to present Move Ya Brass Fitness to Crescent Park. 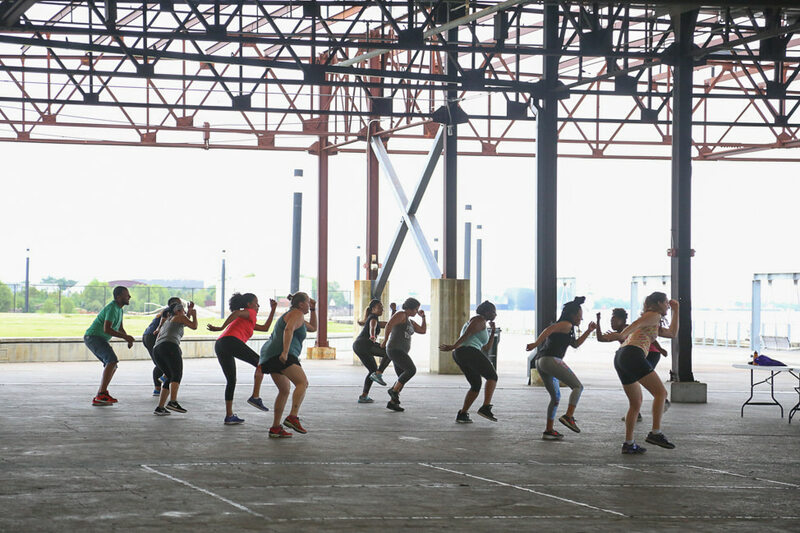 With our Bounce, Hip Hop and Twerk classes, we aim to take those signature NOLA bounce moves and teach them in an aerobics format that makes the class open for all levels and ages. A dedicated group of fitness fanatics rang in the new year with the Move Ya Brass run and walk at Crescent Park on New Year’s Day. The fitness lifestyle group, which was started by singer and entrepreneur Robin Barnes, has developed their own unique New Year’s tradition with the two mile jaunt. A flier advertising the event quickly turned into at least 100 people braving the wet weather for a two mile lap of Crescent Park. Not a bad way to start 2019. As a long-time runner, I am honestly shocked by the number of running clubs active in New Orleans. 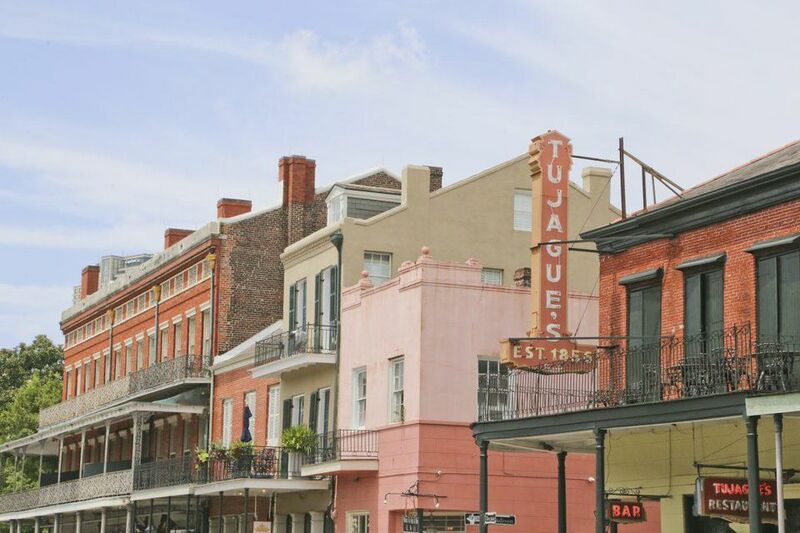 I have lived in cities more than five times the size of our metro area, both in geography and population, and was unable to find a quarter of the running communities we have here… and they call us the Big Easy. A good running club can be the most powerful weapon in your race-training artillery—it’s also a great way to make friends and explore areas you wouldn’t otherwise venture through. While a quiet solo run can be cathartic, having a group that relies on you to show up makes it less likely you will skip a workout, regardless of the weather, time of day, or your mood. No matter your schedule or skill level, New Orleans has a crew for you. Several organizations around the city shared details with Where Y’at about their groups to help you find your perfect fit. This bounce fitness class was fir for the Queen Diva herself, but don't worry if you don't think you can twerk like the Queen Diva and her dancers. Click on Shanda's photo to view the Very Local New Orleans video about our class. In the May 2018 issue of Louisiana's Health & Fitness Magazine, Jennifer Hale is pumped to try out Move Ya Brass classes in her off season. She talks to Robin Barnes about us. The Tinney Sisters, Amanda & Kelli, share their story of overcoming heart attacks at a very young age. See why these amazing ladies run with us and why the American Heart Association is important to them. "Imagine a family reunion. Now, imagine a block party. Then add a bounce beat on top your favorite songs." This is Bounce Ya Brass: traditional NOLA bounce moves in an aerobic format. 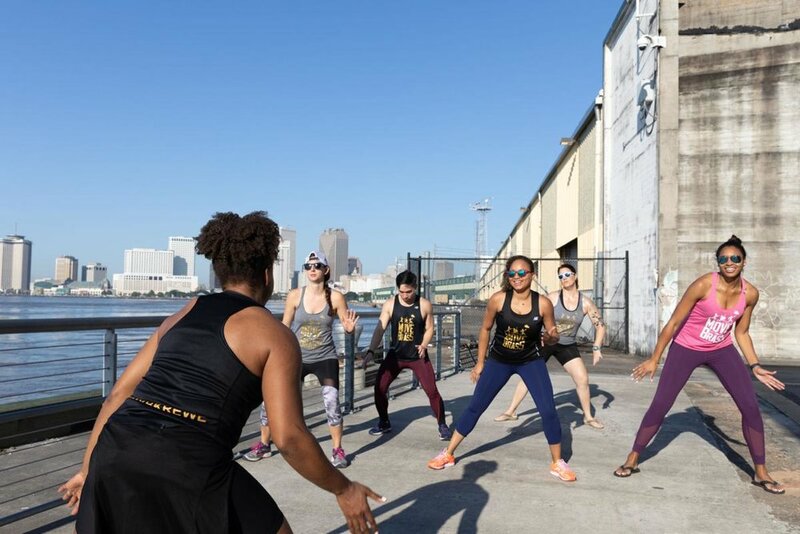 If you need a little motivation to jump start your exercise routine, there is a great chance to do it in the Bywater. Katie Steiner has all the details about Move Ya Brass' free yoga class in partnership with Crescent Park & the French Market Corporation. Move Ya Brass, along our other fellow run groups in New Orleans, was in the January/February 2017 issue of Runner's World magazine's feature "Run This City: New Orleans." The header link will take you to the published article, while the Runner's World link will take you on an interactive run along the Mississippi River starting at Crescent Park and ending at the Aquarium of the Americas.